Goooood Friday, everyone! How’d the week treat you and your money over there? Still on that path to financial freedom? Still telling all of your friends and lovers how awesome my blog is and that if they don’t read it they’re not cool?? Up sell you on new products after not accomplishing a single thing you set out to do. I get that we can’t always get what we want as customers – whether we think it’s fair or not – but the worst time to try and get us to sign up to more products is when we’re unhappy. Specifically at you! This is why I love my online banks…. They get how to treat their customers! And why I swear if USAA or Ally or Simple ever go into the business account world they’d blow up even more. In other (more exciting) money news…. 1) It’s 529 Day! WOO! Whip out your college savings calculators and get ready to partyyyyy!!!! Haha… Everyone’s doing it! But seriously though, it’s 529 day. A perfect time to see if your college savings game plans are in tact as much as your millionaire one from rockin’ Millionaire Day. We’re personally dumping in money sporadically until our lives get a bit settled here (ie. the wife enters the work force again and we figure out where we’re going to be living), but by investing what we can, as well as putting all the kid’s cash gifts in their accounts, we’ve been able to bank $4,000+ for one bambino and $5,000+ for the other. 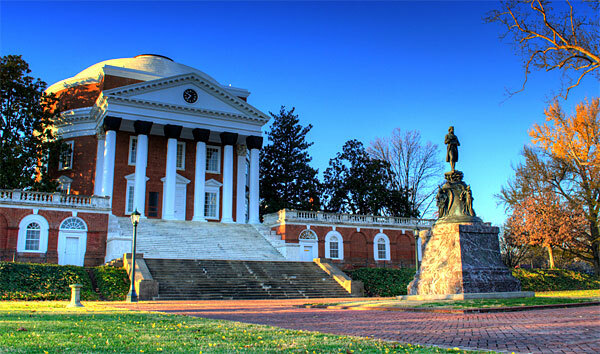 And since we stick with our state’s 529 plans, we get some nice tax benefits too! It’s a beautiful thing! 2) Digit saved me an additional $10.19 this week (making a total of $911.73 in 5 months!). And speaking of Digit, they finally added a new feature a lot of us have wanted: the ability to keep their robot hands away from a set amount of money in our checking account! Like if you need to keep a certain balance in there to not get dinged a fee by your (traditional) bank, or if you just like keeping some padding in there so you don’t bounce anything in case you do something stupid (like me). You just have to text “checking minimum” to put this into action, and they’ll then ask you how much you want to keep off-limits. I just did it for $500 and it took 3 seconds. On this old – yet incredibly popular for some reason? – post: Guess What? If Someone Accidentally Gives You Money in Your Account, It’s Still NOT Your Money. I got a new coin in my collection! Swagbucks — If you read a lot of frugality/hustle blogs you’ve probably head of these guys before, but they tout themselves as “the largest free online rewards program.” And similarly to eBates, a ton of financial bloggers rave about them (there’s a whole compilation of eBates reviews here). Though oddly I always forget to mention them? (I literally did a search on my blog for when the last time I did, and it was in 2009 on one of my old blogger vs blogger showdowns where they made fun of me for not using them! Hah!). I actually do think they’re legit, I just don’t do many surveys or online games/etc. Though I do Google a hell of a lot… and apparently you can rack up points/cash by just searching through them instead. Anyways, if you’re interested in checking them out, you’ll get $5.00 for signing up. Let me know if you use/like them! Qapital — “The everyday banking app that helps you save small to live large. Set up financial goals, create rules, then sit back and watch your savings grow.” These guys reached out to me when they saw I was talking about Digit a few months back, and proclaim they’re “better, even easier, and a more fun way to save for the things you want.” HAH! I don’t know about all that, but they are trying to give Mint.com a run for their money which is always fun to see… So if you’re not a Mint lover and looking for something different to try, perhaps Qapital is your jam? 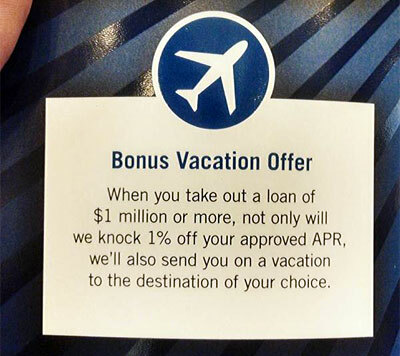 And lastly, a product from Capital One I would actually sign up for! That’s it for this week, friends… Remember, keep your enemies close, and your wallets even closer! Qapital – is that said like cwapital? Interesting. Oh and that dude with the 4k is a total douche. Reminds me of the couple in New Zealand who applied for a $10,000 business overdraft and were accidently given $10mill! They instantly fled the country and spent a lot of the money – I think around 40% before the bank could reverse the transaction. I’m pretty sure they’ve both been arrested now but it took a few years to get them back in the country. People just don’t get it… And crazy how entitled they feel as soon as they receive the $$ too. As if they earned it! DQ?? Any idea what they ordered? Sue – Cuban had a blizzard (not certain on the flavor) & Buffett had a Peanut Buster Parfait along with an Orange Julius. Thanks! I know Buffet likes his all american food but I would have never expected him to show up in a DQ. Great story to tell the grandkids one day! Buffet owns DQ, so you could consider it an in office business meeting! ha! He wrote it off as a business lunch. They might not want to up the deposit amount because they have to report any deposit over $10K to the IRS (http://www.businessinsider.com/the-irs-can-seize-your-cash-through-forfeiture-2014-10). I am not saying it is right, but they probably are lazy and want to avoid paperwork. 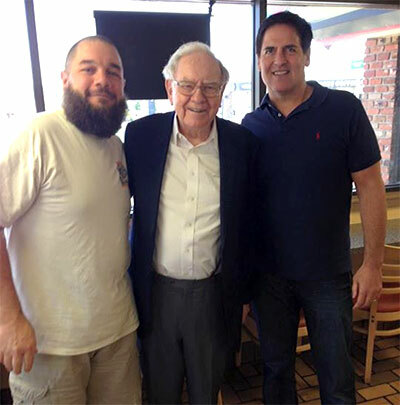 That is so cool you ran into Warren Buffet and Mark Cuban! And got to eavesdrop on them! We also love our state’s 529 account. It’s kind of a relief to hear that your contributions to the 529s are a bit sporadic. It’s hard to figure out how much to put now that was have two 529s, the 401k, the IRA, early mortgage payoff, etc. But I try to remind myself that these are good problems to have, if we are putting money toward multiple financial goals at the same time. How awesome to meet Warren Buffet – at a Diary Queen of all places! :) I use Swagbucks just for searches, and it does add up over time :) I generally get Amazon vouchers and use them to buy Christmas presents. How much we talking over time? Some banks still do seem to be in the dark ages. I love when they come out with a “new” feature that other banks have had for years and act like they are the first bank to ever think of it. I’m so happy about Digit too. I am one of the ones wanting to put a limit on them taking because like you, I have my moment of not thinking and run into trouble. What’s even worse here though, is that it wasn’t even that person’s $4,000 to spend! They’re gonna have a helluva wake up call when the bank realizes its mistake. Okay, you win the best comment of the week for next time, haha… Oh man, that is too awesome. I think you need to go play the lottery right away. The odds of meeting both (at the same spot, no less) is incredible! Though you already kinda won it just by seeing them… Great that you can appreciate it too compared to others who don’t even know who they are. I use Swagbucks and I like that by doing what I already do I can make an extra 35 to 50 bucks a month, and if I try harder I get around $75. It’s not much, but it can really add up! I use it toward gifts or home renovation projects. I LOVE that pic of John!! At first when I saw it on Facebook, I thought it was fake and I love how he ran into two billionaires at Dairy Queen! I also love Tonya’s Capital One ad and agree that is a card I would sign up for. I hate getting poor customer service from a bank because they assume that you don’t have any choices. The good news is that you do and you don’t have to stand for poor customer services because no matter how big you are, you matter to the banks, they just sometimes forget it. Tonya’s video really cracks me up. We need more sarcastic advertising. Congrats on the new coin…but don’t show it to your wife. Ha! Love that worst comment. Scary! You would think after reading your articles and lifestyle that if he’s going to keep that money illegally, then at least spend it on an investment or some kind of asset or something. No kids here but I was curious about your Capital One experience. I just started using more of the Automatic Savings Plans to get a head start for our vacation so it is not stressful AND feasible with our debt payment. Do you have issues with deposits? I avoid them for direct deposit that I need in a timely fashion because I have seen it take up to a week to have money available…which to me is ridiculous. If they want to compete with the banking business, they need to up their game for customers. I am testing their new mobile app, which is better for tracking the multiple accounts but still lacks the capabilities I wish it had. I want to look into different savings accounts or a checking account with a different place so that my partner and I can have a joint account for expenses. I am very weary of banks and have always been a credit union kind of person. I know you talk about USAA a lot but I am not sure if that’s something I can do. Advice, if permitted, would be EXCELLENT. I should have a review of Simple up on the site here shortly, but I’d strongly encourage you to check them out: http://simple.com. People are really raving about them and from everything I know so far they’re ALL about the customers (and simplicity, of course). I’ll agree that credit unions are great too, but more so for taking out loans and that nature. Great interest rates and also very customer-focused (since they’re owned/driven by their members). Thanks for your insight! I actually have the Venture Card (before I was more aware of net worth ;) ) and the 360 accounts. They are great, as you posted with Chenell and the ability to have multiple savings goals, but their deposit structure is garbage. Even when we deposit cash, it takes time to became available, which to me seems a bit absurd since there is no checking on funds that needs to be done. 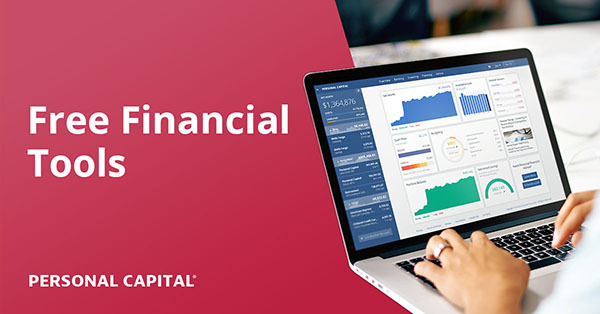 I will check out Simple because I haven’t been a huge fan of Capital One for our personal account. We are just looking for an account where we can place our budgeted money for joint expenses so that everything else will go to debt. Thanks! I look forward to that review! By the way I checked out Simple…it is a for sure for me, everything about today’s tech mixed with the wants/needs of budgeting and all placed for you to use…so simple! :D I am about to be a new customer. Hooray!! Let me know how it all goes once you’re up and going! If I weren’t with USAA (and loving them) myself I’d totally consider giving them a shot :) I think they’re on to something great here. I can’t decide what I like more–John’s beard or the fact that he met Warren Buffett! Probably these are equally cool things. Thank you for the reminder about 529s… I should probably start researching those :). I recently went into my bank to change something with a maturing CD I had and the lady did try to upsell me a credit card. Luckily after I said I wasn’t interested at this time, she didn’t bring it up again (not Capital One though!). Though I do have a Capital One card and the “commercial” made by Budget and the Beach was hilarious. I’m a supporter of Swagbucks, but I basically just do the daily tasks and enter any of the “swagcodes” that pop up during the day. I also let the mobile apps run when I remember to do so. I like to use it passively instead of spending a lot of time doing surveys. Last week my hubby and I got a letter from our bricks and mortar bank that we were $1.04 overdrawn ( thanks to Ebay fees). A letter, paper, a stamp for $1.04!!!! Such waste. Hubby and I promptly went in and gave them $1.04 and then closed our accounts. Who wants to bank with a bank who does that. No phone call, no nothing. We now only bank with ING online and they rock. 2% on every purchase, no fees, highest interest rates by a mile, use any cash machine, anywhere for free. We made close to $500 from them last year. I think ING are the way to go and HIGHLY recommend them. Swagbucks seems like a decent side hustle but I tell you when I did use them ( I was doing surveys mostly for the big points). I felt like it was intrusive of my personal info and it does take a while to get a gift card or what have you. I guess it depends on what your TIME is worth. I’m not sure the difference between a business and non-business account, but the PNC mobile app lets me scan checks and it has for years. The only time we go to a branch is if I need cash in certain bills or ….. that’s it. Man I’d love to run into Buffet and Cuban. Very cool! Good reminder about saving money for kids’ college. Here in Canada it’s called RESP. We plan to put the max amount each year and take the free government money. Guaranteed 20% return baby! Hard to believe some people don’t take advantage of this free money. Woahhhh that’s incredible! That you get such a return AND that people still don’t participate! New coin J. Money. Is that the oldest coin you got or there are still others older than this? Hey, we’re back! Send me your address and l wil mail you the coins from Marrakesh. I wish l knew where l put all the other weird coins from trips :-(. If l find them, will send also.